3-Ingredient Christmas Eggnog Ice CreamEasy peasy and super delicious! 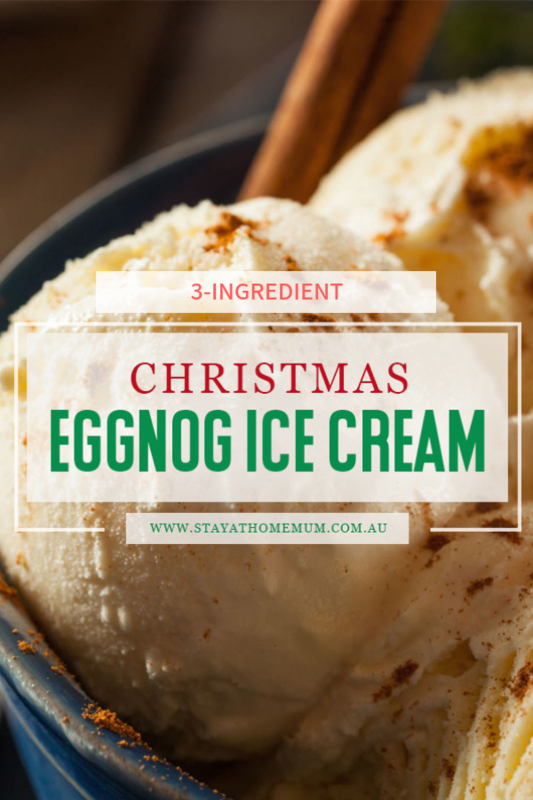 If you love Eggnog, then this 3-Ingredient Christmas Eggnog Ice Cream is just what you need to feel the holiday spirit! With only three ingredients needed, you can make this yummy ice cream the night before and enjoy it with the whole family. It’s ridiculously easy and delicious! I love it garnished with whipped cream or cinnamon but nutmeg is just as good, too! We have a homemade eggnog recipe here! In a bowl, mix the cream, eggnog and milk together. Then, pour the mix into an ice cream maker. Freeze according to manufacturer's directions and once it is frozen, spoon the ice cream in to a container. Freeze for 2-3 hours more or overnight.